Bridget Surtees graduated from the University of Cape Town in 1996 with a B.Sc Medical Honours in Nutrition & Dietetics. After graduating she worked overseas in the United Kingdom for 6 years. During this time she specialised as a Paediatric Dietitian through world- renowned Great Ormond Street Hospital and University College London Hospital. Bridget was the Paediatric and Adolescent dietitian at the University College London Hospital in London for the majority of her time spent in the United Kingdom. Her specialist areas of dietetics included premature infant nutrition, oncology, diabetes, allergy and gastroenterology. After the birth of her first child she started a very successful Private Practice in Paediatric Nutrition ,based in Sydney. She worked alongside a multidisciplinary team of paediatric health care professionals. 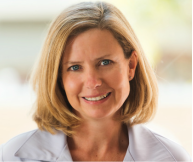 Bridget now resides in Cape Town with her young family and runs a Private Practice - Nutrition4KIDS. Bridget also works at ﻿RealFood Dietitians﻿ where she supports clients who want to follow a lower carbohydrate lifestyle for health or medical reasons.